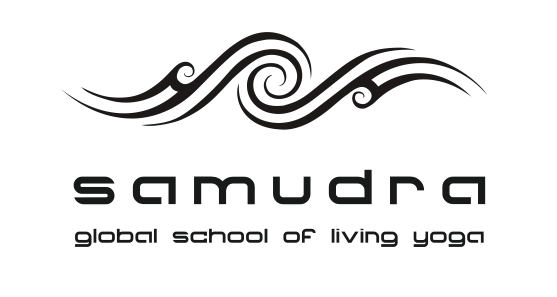 Aditya Yoga School West Hampstead is Affiliate with Samudra, Global School for Living Yoga, founded by Shiva Rea my teacher for the past sixteen years in the Prana Vinyasa Lineage of Modern Yoga. Running for the third year, I offer an Affiliate 100 hr PranaFlow Teacher Training Course starting in January 2019 at Aditya Yoga School West Hampstead. This Course is valid as 100hr Foundation for teachers that want to acquire knowledge in Pranaflow. It also counts towards a 200/300/500 hr Teacher Training with Samudra or Aditya Yoga Schools. For more details please contact Samudra office or Aditya, details below in the Accreditation Section. EMBODYING THE FLOW: PranaVinyasa Mandala Of Asana 100hr TT. Now offered yearly in the UK, this empowering and evolutionary vinyasa training, runs at Aditya Yoga School in West Hampstead, London. Led by the UK’s first Affiliate Prana Flow Trainer®, Alessandra Pecorella, this specialist course will offer you the tools to embody the energetic flow of yoga on and off the mat, deepen your practice, and learn to share vinyasa for all levels. This self-contained 100-hour teacher training course ( 90 contact hrs and 10 non-contact hrs) is aimed at aspiring trainees and seasoned teachers alike. Join Alessandra on a holistic and authentic journey to teaching vinyasa yoga. You will begin practicing the art of teaching on the very first day, developing the teaching tools of using your voice, hands on assists, observation, and energetic awareness to facilitate the state of flow within a class. In this 90-hour training, you will focus on the Prana Flow® method of teaching alignment in the flow of a practice, creating movement alchemy that balances the elemental body and a deep understanding of asanas within the Mandala of Asanas™. Energetic alignment will be emphasised to begin to cultivate the balancing of the Five Elements and full spectrum embodiment of the organising intelligence of our life-force through the movements of Prana. You will explore the many dimensions of creating a soul-inspiring class; guiding the microcosm of your students to experience healing connection to the whole. This approach to teaching encourages an evolutionary journey into living yoga as we begin to heal the body of our life through the empowerment of a full spectrum practice. We will emphasise teaching from a flow-state to translate this integrative practice to our students. You will learn 10 Namaskars – 10 Solar and 10 Lunar Sequences as the starting point for teaching vinyasa in a full energetic spectrum. 9.30am to 5.30pm each day with one hour for lunch. Also includes Reading List and pre-reading assignments in preparation for each weekend Module. This is a unique opportunity for trainees, new teachers and experienced teachers to connect with the source of vinyasa methodology and practice, as originally taught by Shiva Rea herself. Alessandra has been practicing with Shiva for the last 16 years and assisting her globally for the last 10 years. She is the Founder and Principal of Aditya Yoga School for Conscious Living, which is affiliated with Samudra School of Yoga, offering 200/500 hour teaching qualifications. You will receive a 100-hour certificate of attendance from AdityaYoga School ( 100 % presence is required for the Certification and missed sessions can be made up privately at extra cost). The 100-hour training can count towards a 200/300-hour qualification with Shiva Rea through Samudra School of Yoga. Please contact Samudra School of Yoga directly for more information. The contact hrs are part of the Aditya Yoga School 200/300 hr TT based in London. You can find more information by contacting Alessandra via email alessandra@adityayogaschool.co.uk Look at the Course Structure 300/500 hrs page. This course is valid either towards Aditya 200/ 300hrs qualifications OR Samudra, Shiva Rea’s School. The hrs cannot be used for both courses. Payment Plan available upon request subject to Contract. Upon Completion of the Course ( 100% attendance) You will receive a 100-hour Affiliate PranaFlow Certificate from AdityaYoga School. To reserve your place please fill the online Application Form making sure you select the PranaFlow option at the end of the form, I will then contact you via email. Email me at with any questions alessandra@adityayogaschool.co.uk or to receive the full course Prospectum.